The Jalou Media Group is based in Paris and publishes 12 magazines covering art and fashion, and is known for being the people behind the world-famous fashion bible L’Officiel de la couture et de la mode de Paris. The magazine itself was established in 1921 and is currently published across 5 different continents and in as many as 21 different languages. The Jalou family’s connection began early on when Georges Jalou joined as artistic director, eventually rising to general director then owner. Later he passed ownership to his 3 children Laurent, Marie-José and Maxime, and the media group continued to grow, as well as being the training ground for many famous designers. In 2003 Marie-José Susskind Jalou became the company president, and with her own 30 years-plus experience as editor-in-chief and her own 4 children on board, the group’s legacy is alive and well today. I am sure some people already know about the deep ties between L’Officiel and Wakapedia. The first ever content we produced for a French magazine was in L’Officiel and at the direct behest of Marie-Jose’s daughter, Vanessa Bellugeon. Feels like L’Officiel have been friends for a while now. And it was a very meaningful collaboration for us: outside of work, we are very close with some of their team, from the Editor-in-Chief at L’Officiel Italia and L’Officiel Hommes Italia Gianluca Cantaro to the art director of the men’s magazine L’Officiel Hommes, Francesca Occhionero. SaraWaka herself was chosen to be a contributor for the magazine this year (although she tries not to boast about that too much…). They are like part of the family. So with that and because of those very feelings, an interview with Marie-José Susskind Jalou was a must! But our team became so nervous before the interview! 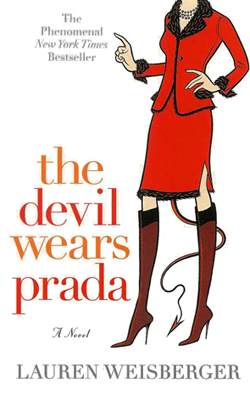 “She’s not like that editor-in-chief in The Devil Wears Prada… right?” “She’s not going to be looking down on us mere mortals in her Chanel suit and 6-inch heels… right?” – our minds raced with (totally unsubstantiated) individual fears and anxieties. But any prejudices disappeared the moment we met. We met an elegant, straight-forward and kind lady. Standing in front of her, any fears were immediately forgotten and we returned to normal selves. Kind eyes, backed up with a clearly strong personality. Intelligent and professional, but also clearly having been blessed with a slightly-skewed rock’n’roll spirit (that we in Wakapedia loved). She is clearly interested in all things new and the avant-garde; this was the Superwoman that Wakapedia has been long searching for. Sara Waka: Bonjour Marie-José! It is truly an honour to meet you. 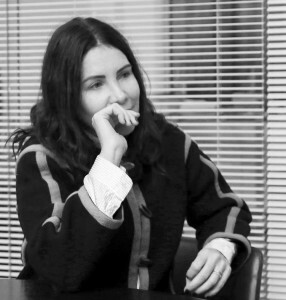 To meet a lady so well-respected in the fashion publishing world that even Meryl Streep could not do her justice is quite exciting. 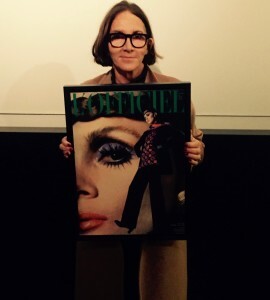 If it pleases you, would you kindly tell us something about the history of your magazine L’Officiel? Marie-José: No problem whatsoever. L’Officiel started back in 1921, before I was born. It’s up there with Vogue in terms of fashion magazines with a rich history. I joined the company at 19, while I was studying to become a graphic designer, but had made my first steps into the fashion industry while I was still small. I guess I have been part of this industry for over 70 years, from the moment that my mother, who loved fashion, took me to a haute couture show at the age of 3. Sara Waka: Wow, from such an early age! Tell me about your father! Marie-José: My father was Georges Jalou, employed as an art director right from the start. He was approached by Vogue USA and went to New York, but speaking no English, he was all at sea. Apparently, he was deeply embarrassed by this. So when he came back, he told my mother that he had learned that it was best that he always stick with L’Officiel. Always working, he pushed himself hard and eventually bought all the stock in the magazine. Sara Waka: Interesting! And your mother was also in the industry? Marie-José: She was a fashion illustrator. Susskind was her name, from Germany. She was born in Berlin but then fled from the war to the Netherlands, which is where she met my father. At the time, they spoke to each other second languages, but fell in love with each other at first sight, and were very much in love. My parents were a nice couple. They had the same artistic sense, hobbies overlapped as well. My mother loved Pierre Cardin and Lanvin, and was always wearing their clothes. That was in the 50s, and I was always in her studio. When she was having her clothes measured out, she would always get slightly too much material so she could make me matching clothes. All my memories of childhood involve fashion. My siblings and I grew up just after the war had ended, but my mother was helping my father’s work at L’Officiel while being a housewife, spoke 4 languages, so was also in charge of translation of content. Whether at a party or at a simple work place, she was always by my father’s side, supporting him. Sara Waka: Sounds like it could make an Oscar-winning romance. Tell us about how fashion has changed. Marie-José: It’s so different! Firstly, in the past, every piece of clothing had its own name. In that time, haute couture was a mainstay of the fashion shows, there were huge parties, attended not only by people in the industry, but also famous artists and the literati. Another difference is people used to be able to smoke at fashion shows then! Sara Waka: No way! I don’t believe it. Marie-José: It’s true. My mum was a smoker and always had a portable ashtray on her. She was very shocked when the movement to ban smoking in public spaces begain in the US in the 70s. Sara Waka: No doubt. So what hasn’t changed in fashion? Marie-José: Some things haven’t changed. Both then and now, the collections are built as the focal point of the industry’s calender and have a special feel to them. It’s not just an opportunity to exhibit your clothes to professionals, but also part of the social calender. Sara Waka: Even in those days was there the mass-produced prêt-à-porter to balance the made-to-order haute couture? Marie-José: It was there, but not as prevalent. In that time, L’Officiel produced a magainzine called “Actualité couture” that covered prêt-à-porter, but it wasn’t seen as very important. In those days, people who did not have the money to buy designer clothes would copy the designs and make their own. Even down to matching the material. But material quality is of utmost importance, and we paid a lot of attention to this in terms of print quality. When we sent the photos to the press, we always made sure the original colours were replicated. Sara Waka: Professional! Was L’Officiel Magazine popular then too? Marie-José: Hmm, L’Officiel was more of an industry magazine than a mass-market one. But, on the other hand, it was also at the forefront of haute couture. We had many rivals. The big magazines were, magazine L’art et la mode, Vogue, Collections and Madame, but in the end, only Vogue and us survived. Then, with the rise of prêt-à-porter everything changed. That was the start of my era at L’Officiel. I still remember, but I had just entered the company, and everyone was dismissing prêt-à-porter as mass-produced low-grade wear. The first prêt-à-porter collections in Paris were Sonia Rykiel, Dorothée Bis and KENZO. Everyone was drinking beer, far rougher than the haute couture shows. Veteran fashion journalists would see that and be shocked. Sara Waka: Really! It went quite rock’n’roll! Marie-José: Yes. But it was a great time, full of changes. Sara Waka: What was your impressions when you first saw Japanese designers ? Marie-José: That question reminds me of a certain episode. The designer who came to France after KENZO was Yohji Yamamoto. To be honest, I had no idea who he was but he said he could help with the magazine’s promotion. 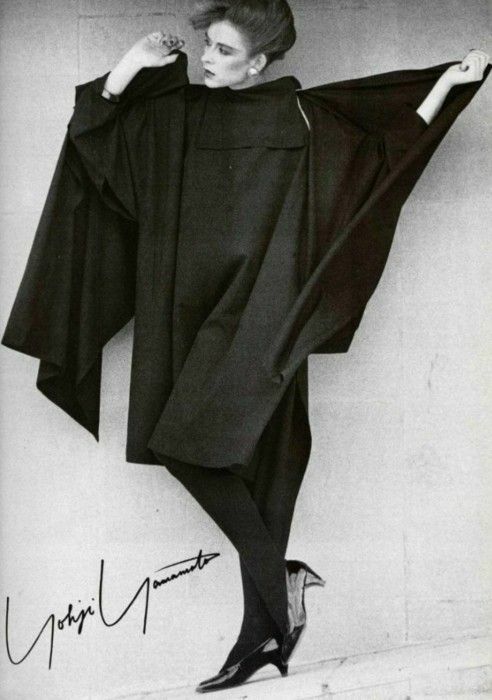 Then one day, Yohji’s clothes came for a shoot, all black, minimal lines. Very different to all the dresses I was used to seeing, a style I had never seen before. Then, our stylist who had previously worked at this very girly, very feminine lingerie brand Chantal Thomas, added a very cute cherry to Yohji’s clothes. Then when I first actually met Yohji, I discovered he wasn’t aiming for a cute design. He was aiming for something more radical, more comtemporary. From that time forward, I realised how important it is to meet the designer and understand their philosophy behind their designs. I also realised how important it is to introduce the designs of a designer to the public in a way that matches the designer. The rise of the Japanese in the French fashion industry started there. They have very strong, very creative visions. Lots of contrasting styles in that period. On one hand, you’d have the busy baroque-styles of, say, Versace, on the other, the minimalist Japanese styles rose up. Sara Waka: The fact that cultural differences pervade as far as the clothes you design is incredible. What are your views on Italian brands? 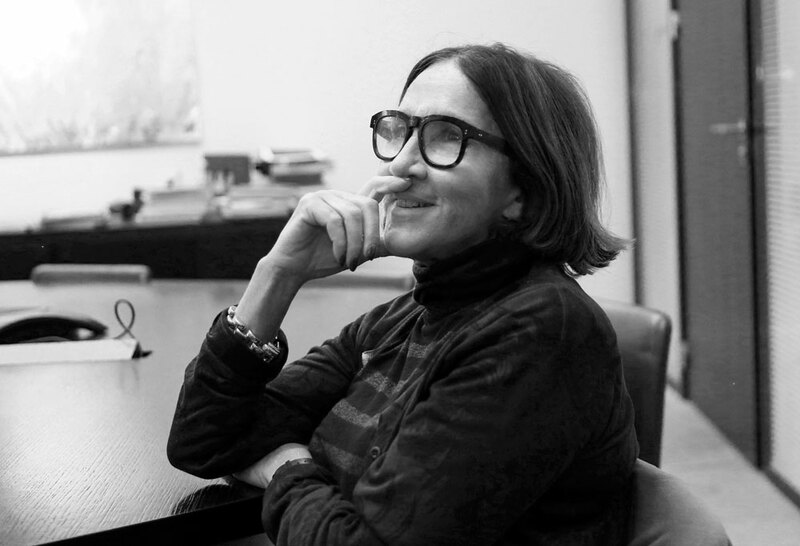 Marie-José: I went to Italy for the first time on the recommendation of an American acquaintance, and at the time in Paris there would have been only a very small Missoni boutique. Italians weren’t making there way to Paris then. They viewed Paris as the sacred ground for fashion so would think to go to New York first, get some success there before attempting Paris. I went to Paris in the 70s, with a person from Vogue. I still remember the first collection I saw: a ground-breaking brand of the time called KRIZIA. As well as Versace and Armani. Sara Waka: So was it you who brought those Italian brands to France? Marie-José: Perhaps you could say that. I introduced many Italian designers’ portfolios to French people, but most were turned away confused. Of that group of designers that is still around it would be Giorgio Armani only, I guess. He brought about a real revolution in the style at the time. Simple and graceful. Easy to wear. A style with no reproach. Armani’s clothing became like a drug for the people at the time, like Chanel or Hermès bags did in the 60s. Everyone was spending all their pennies on Armani! It then took him a little time to really find his palce in this fashion world. It’s tough. And by that I mean, he became famous through his own unique style, but then needed to react to the changing fashion without betraying that sense of style he had created. That is tough. Sara Waka: Wow. Well, he is the King of Italian Fashion. Thank you so much for letting us hear so much about the fashion industry. Which designers do you personally like? Marie-José: Hmm, I liked Céline’s new collection. Really spoke to my emotions. Then… Valentino, I guess. The styles are classic, but are dressed up in a contemporary way, so allow you to forget where you are. Sara Waka: So true! Changing topic: do you have an secret ideas or dreams you would like to acheive still? Marie-José: Hmm, I would love to make a film. A burlesque-style film based on the fashion industry. Turn all my personal experiences and funny episodes into a film. I am currently looking for someone who can express these 70 crazy years of fashion with a great sense of humour! A funny, light, interesting story. I actually think that is how fashion has to be understood. The joy of those wearing the clothes and those looking at the clothes. I think people nowadays tend to forget about that. Sara Waka: Thank you so much for today, Marie-José! Please invite me to the premiere!